Work with movers you can trust for a stress-free move. Quickly and easily find out how much your move will cost. Cheap prices. Quality service. Happy customers. Moving out of state? Ship your car and skip the cross-country drive. If you’re planning an upcoming move to, from, or within New Jersey, we’d love to help! Great Guys brings you easier access to rates from some of the top moving companies in the Garden State. Instead of scrolling through page after page of Yelp reviews and trying to distinguish the legitimate moving companies from the scams, you can rely on Great Guys to do the work for you. We work exclusively with fully licensed New Jersey movers, so when you hire through us, you know you’re getting the real deal. Call and get connected directly with one of our moving partners or fill out the form and get quotes from up to four NJ movers that service your area. Make this transition smooth and easy with Great Guys helping you along the way! Trusted pros. Quality services. Cheaper rates. There are a number of logistical issues to tackle when planning for a move. 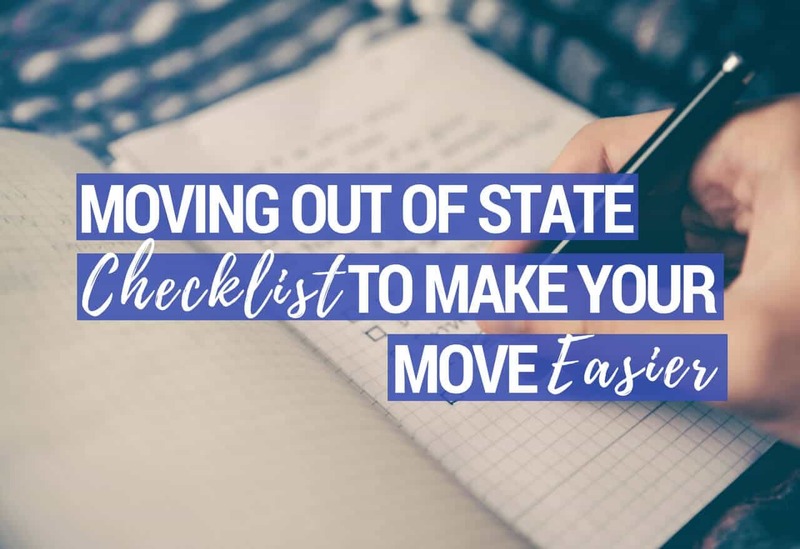 After finding the perfect home within your new city or state, the next thing on your moving to-do list is planning the actual move itself. For most people, renting a moving truck and driving it themselves to a new location makes a lot of sense, both time and money-wise. However, renting a truck for your long distance trek requires a lot more effort than simply hiring a cross country moving company. Before you embark on the process of moving yourself, there are a few things that you should keep in mind. Using a moving company is one of smartest ways to store your items. If you must be out of one home but haven’t yet closed on your new house, or you’re in the middle of a home remodel, short-term storage just makes sense. Most of our movers provide storage services in addition to regular relocation services. Arrange for pick-up of your items, and they’ll deliver them to a secure, climate-controlled warehouse until you’re ready for them. Streamlining your moving and storage services means you spend less time doing the work yourself. At a loss for how to even start the packing process or just short on time to finish things up? Find New Jersey’s best movers and packers to tackle the task for you. Professionals can pack your entire home from top to bottom or just complete a partial pack of items you set aside, like antiques, collectibles, breakables, and glassware. Movers bring high-quality packing supplies, including heavy duty and specialty boxes, packing paper, and bubble wrap, to ensure each item is securely wrapped for the move. Having trained professionals doing the packing and unpacking means a lower risk of things getting broken or chipped during loading and transit. Plus, it’s a huge time-saver when you’re in a time crunch to get moved. While lifting boxes filled with linens or books might seem like a manageable task, moving furniture is a different story. Most household furniture, like couches, armoires, wardrobes, and dining tables, weighs hundreds of pounds, which means you need specialized equipment and extra hands to get the job done correctly. Hiring furniture movers prevents damage to your residence and your expensive furniture. Trained professionals are adept at disassembling large pieces, making sure each item is wrapped in moving blankets, and loading onto the truck via a dolly or hand truck. They’ll also ensure each item is secured to the vehicle, so nothing tips over during transit. Upon delivery, they make quick work of putting bedframes and other disassembled pieces back together and can arrange furniture according to your wishes. The extra steps they take to preserve your furniture ensures you get to enjoy your household furnishings for years to come. If you’re moving on short notice and need movers ASAP, we can help! Find same day or last-minute movers near you to pull off even the most seemingly impossible moving deadline. Professional moving companies have highly trained staff who can manage all aspects of your move in record time – from helping you finish packing to loading up the truck and hitting the road. They can even help you settle into your new home, so the transition means less disruption to your regular schedule. Whether your piano is an upright, a concert-sized keyboard, or a baby grand, it’s probably among your most prized possessions. We understand your instrument is priceless, which is why we work with NJ piano movers who will handle it with the utmost care. Find a moving service with years of expertise disassembling, transporting, and reassembling pianos, using special padding and equipment to make sure your piano stays protected throughout the move. Whether your pool table is the highlight of your bachelor pad or a fun addition to your family game room, it takes some serious know-how to move it from one home to the next. Because of the slate construction and wood detail, pool tables often weigh more than 1000-pounds and require the help of several people to safely move. Additionally, you’ll need technical assistance reassembling the pieces, leveling the slate, and felting the table. Great Guys connects you with pool table movers that can manage this tricky piece for you. Nothing beats relaxing a steamy spa after a long day at the office, but getting your hot tub moved into place is a serious undertaking. Hire local New Jersey hot tub movers to transport your spa from one residence to the next. These moving companies make relocation or removal of your hot tub a cinch by showing up for the job with a hot tub dolly designed to withstand the weight of this bulky item and a competent crew to oversee the entire process. Are you downsizing to a smaller home or helping a loved one transition to a retirement community? Great Guys knows this change from one residence to the next might make you or your family member anxious and nervous for what’s ahead. That’s why we’re here to help you find a mover who specializes in senior moves. Find a caring, compassionate moving company to manage all aspects of your relocation – from paring down your items to the essentials to ensuring your new home is set-up just the way you’d like it. No matter how far your move takes you, we have the moving companies to get you there. Even a short distance move has its challenges. Find professionals to alleviate the stress of packing your things and transporting them to your new home. Instead of renting a truck and doing all the work yourself, you can hire experienced professionals to knock out the whole move in a single day! One of the most popular short distance moving routes we service is from New Jersey to NYC, and vice versa. Whether you have your sights set on the Big Apple, or you’re looking to get out of the New York madness, we’ll help you find skilled movers with over a decade of experience handling NYC moves. Our movers understand how to deal with all the nuisances of a New York City move, so leave it to them to deal with the cramped hallways, flights of stairs, lack of parking, and ornery landlords. Long distance moves are our bread and butter, so we’re happy to help you find a reliable long-haul mover! We know that an out-of-state or cross-country relocation requires more thoughtful planning and organization than a simple move down the street. That’s why we work hard to find you top-notch long distance movers who can simplify the moving process. Our experienced interstate movers are licensed by the US DOT and have years of experience performing moves just like yours. Start by calling to get an over-the-phone ballpark quote, then request a free in-home estimate. The estimator walks through your home, taking an inventory of your items and discussing your specific moving needs. Then, they’ll calculate the total estimated cost of your move and present it in a formal moving quote. This process helps you understand your moving costs and ensures you don’t get slapped with an unexpected bill upon delivery. Planning a relocation from the Garden State to the Golden State? Your journey will take you over 2800 miles from state-to-state. While you could load up a rental truck and make the cross-country road trip on your own, driving a U-Haul that far could get pretty tiresome. Instead of having to worry about getting a flat along the way or stressing over securing the truck during overnight pit stops, why not let professionals do the driving instead? Our movers frequently service this across-the-country route, so they’re old hats at driving safely with a whole truckload of goods. Before you know it, they’ll have your things delivered safe and sound to the other side of the country so that you can get settled into your new home! Whether you’re retiring to paradise or tired of dealing with NJ winters, if you’re relocating to Florida, we can help you get there. The moving companies we work with make frequent trips up and down the East Coast, so they know the best roads to take to get your belongings safely to the Sunshine State. Let them drive the 1000-plus miles, while you go ahead and prep your new home for move-in. Licensed and Insured Movers: Have peace of mind knowing that we only work with licensed and insured moving companies. In New Jersey, our movers are licensed through the New Jersey Division of Consumer Affairs, which certifies Public Movers and Warehousemen to perform moves within the state. If you’re moving into or out of the state, we’ll find you a mover who is licensed for interstate moves through the US Department of Transportation. Experienced: The movers we work with have decades of experience in the moving industry. They work hard to maintain knowledgeable and trained crews who can carefully and efficiently transport your belongings. Full-Service: With Great Guys, you can find more than just someone who can load a moving truck. Our movers offer full-service moves to the make your relocation seamless. Whether you need temporary storage, help packing up your home, or assistance with a piano move, our trusted moving partners can do it all! Completely Free: Great Guys pairs you with moving and storage companies you can trust, for free! Easily compare rates on movers in your area or simply connect with a moving company we’ve already vetted. There’s no obligation when you request your free moving quote!